Love classic names, but worried that William and James are too common? Thanks to Monika for suggesting a rock solid classic that isn’t overused in 2015. 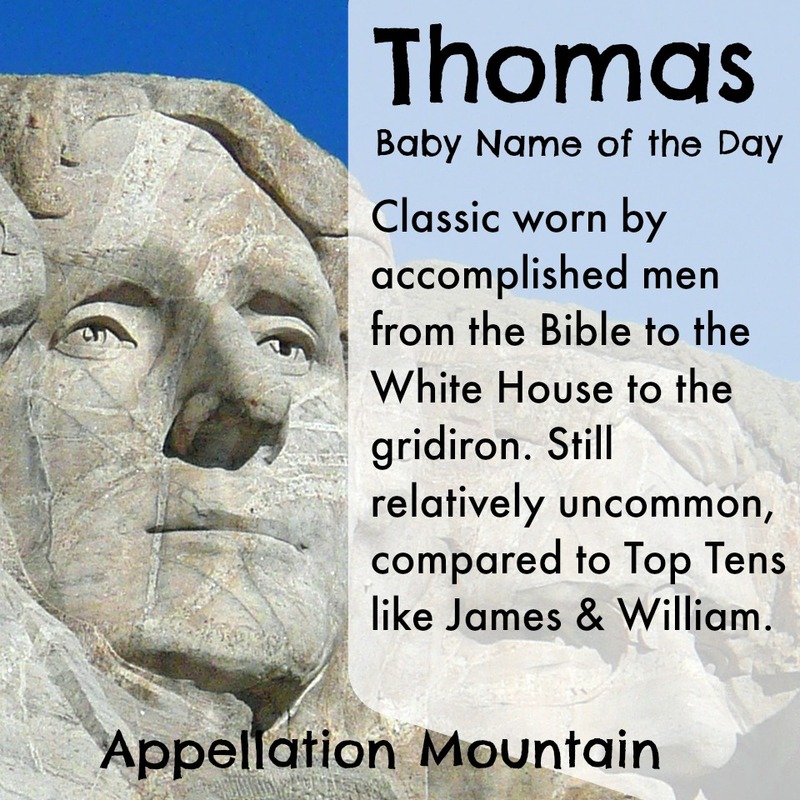 Our Baby Name of the Day is Thomas. Thomas is one of the twelve apostles, and while he’s faithful, he has a little bit of a reputation as a skeptic. It’s no surprise when he doubts if Jesus is truly risen from the dead. Thomas insists that he won’t believe it until he’s seen him for himself, and touched his wounds. This comes to pass, and Thomas goes on to spread the gospel in India. It’s believed that he died a martyr there, in Chennai, where a community of Syrian Christians, also called Nasrani, trace their roots to his evangelization. He’s also called Didymus in some accounts. 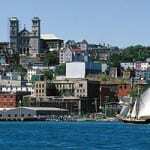 Both names come from the Aramaic Taoma – twin. We haven’t really got a clue why he was called “twin,” though it’s generally believed that it was a nickname, not his given name. If he really was a multiple at birth, it’s not clear what happened to that sibling. What we do know? Thomas has questions, but he’s loyal and true. Thomas à Becket was born on the saint’s feast day, December 21st, around the year 1120, to parents of Norman descent. In 1162, Becket became Archbishop of Canterbury, an appointment traditionally more political than spiritual. 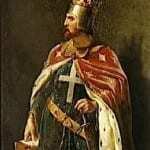 Only Becket had a change of heart, and became a fierce champion of a more independent church. In December 1170, four knights, believing they were acting on the king’s behalf, murdered the Archbishop. He’s remembered as a martyr saint. Credit both the apostle and Becket with ensuring Thomas’ status as a classic. Italian theologian Saint Thomas Aquinas. Founding Father and American president Thomas Jefferson, one of the four faces on Mount Rushmore. Tess of the D’Urbervilles author Thomas Hardy lends the name a literary quality, as does Mark Twain’s immortal Tom Sawyer. It’s the given name of inventor Edison. Actors Tom Hanks and Tom Cruise, to name just two. The world of sports gives us celebrated quarterback Tom Brady. And let’s not forget the world’s most famous train: Thomas the Tank Engine, beloved by children everywhere. The name is easily considered a classic, never out of the US Top 100. And yet, at #61 in 2013, Thomas is much rarer than he was in years past. From the 1930s through the 1960s, this name was a Top Ten standard. In fact, he remains even more common elsewhere in the Western World. But in the US, Thomas keeps company with other under-used classics, like Lawrence and Louis. It’s a rock solid name for a son, and one that he probably won’t have to share very often. What do you think of Thomas? Is this an overlooked classic ready for greater use? Can’t get on board with this one at all. Anglo classic isn’t exactly my style, especially for boys, but it wouldn’t ever be Thomas to bring me around on that. Thomas is a family name on my mothers side, my great grandfather, my grandfather, my uncle and my cousin all are Thomas Richardson’s. 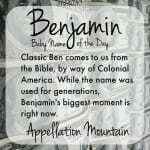 I have no problem with the name, but I don’t think I’ll be using it, since on my dads side also has the popular Edward being passed down, and we are using it as our first sons middle name. Underused? That’s pushing it a bit, considering its #61. Its not on Louis’ or Lawrence’s league at all. Definitely not a name for me, too popular and I know way too many men with the name, and Tom’s and Tommy’s. I agree. I put on the same level as Robert, Charles or John. Fading, but still very common – you also need to take into consideration at least the previous 10/20 years of popularity for a name because that child will encounter people not only from his own age group. I’d say most Thomas’ today are named after dad, at least that is what I can tell from birth announcements online – same goes to the names I mentioned above, plus a few others like Christopher and Michael. My husband and I both adore Thomas. I love the Biblical St Thomas and he’s a fan of St Thomas More. Unfortunately with our last name Tyson, the flow isn’t the best, but the name keeps sneaking onto my list. Nearly all the men surrounding Henry VIII seemed to be called Thomas – Cromwell, Cranmer, More, Howard, Wolsey, the list goes on! 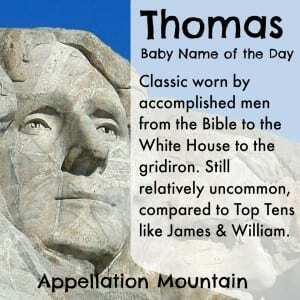 Thomas is a very classic, solid name with a strong history, and Tom is such a friendly sounding nickname. I’d consider using this one.